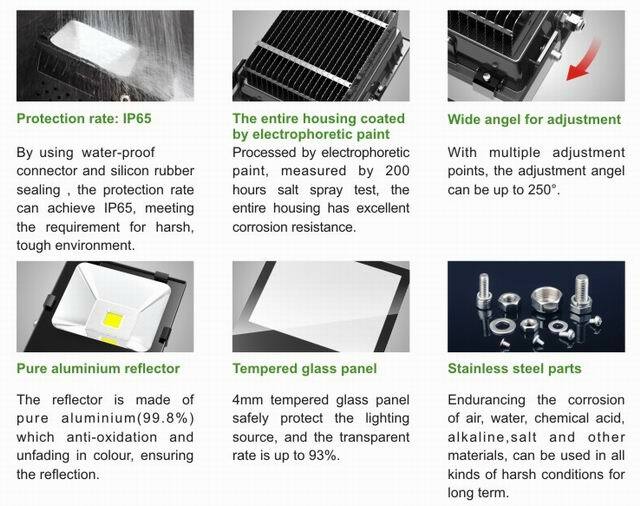 LED has proved to be the trend of next generation lighting for it’s environment friendly, energy-saving, light efficiency, reliability, SD’s innovative LED heatsinks with the powerful heat dissipation capability and reliability greatly extend the LED lightings lifespan, thus remarkable reduce the expense of lighting operation and maintenance. 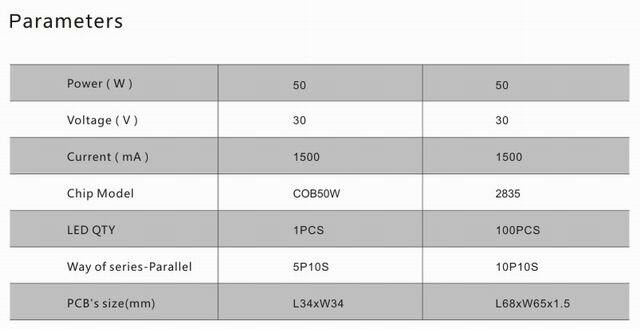 Stainless steel screws and parts. 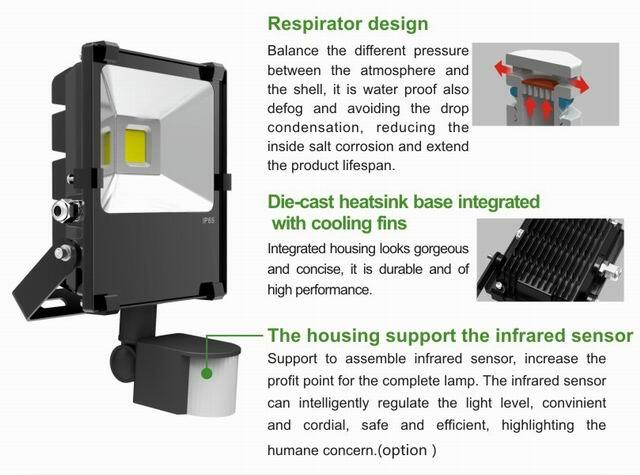 Innovative cooling fins with light weight but massive cooling dissipation area, which tightly connected to the die-cast heatsink, constitute a integrated cooling housing. 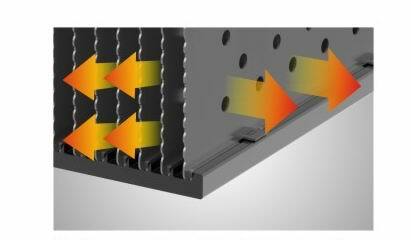 There are convection holes distributed on each fins allowing parallel direction airflow to maximum the cooling power. 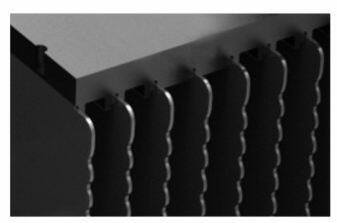 The fins couple into the base of the heatsink tightly, minimum the heat transfer resistance. 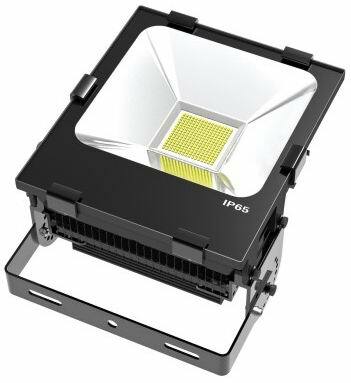 LED flood light is widely used in shopping center , exhibition hall, parking lot, stadium, gymnasia, billboard, park, statue, government lighting decoration project, landmark or building, public square and passage, building connecting passage, and other indoor or outdoor light applications. Easy to install and convenient for maintenance. 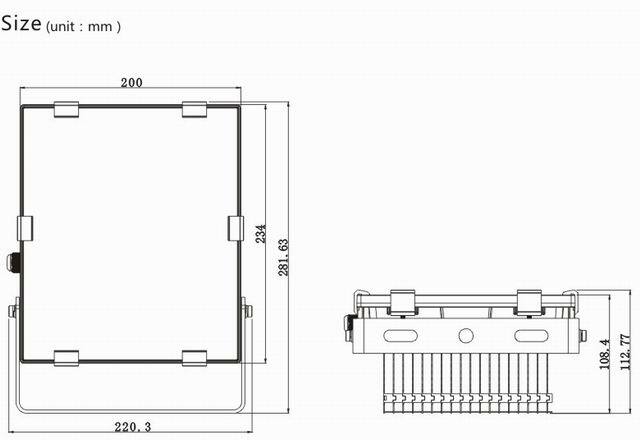 Fashionable texture, focusing on heatsink design, and having patent protection.